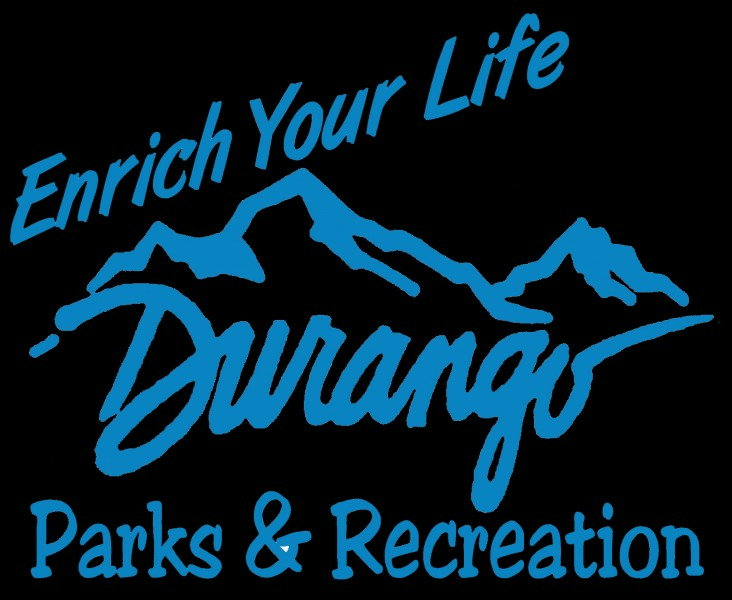 The Durango Community Recreation Center is a 71,557 square foot premier recreation facility, located just north of downtown Durango. 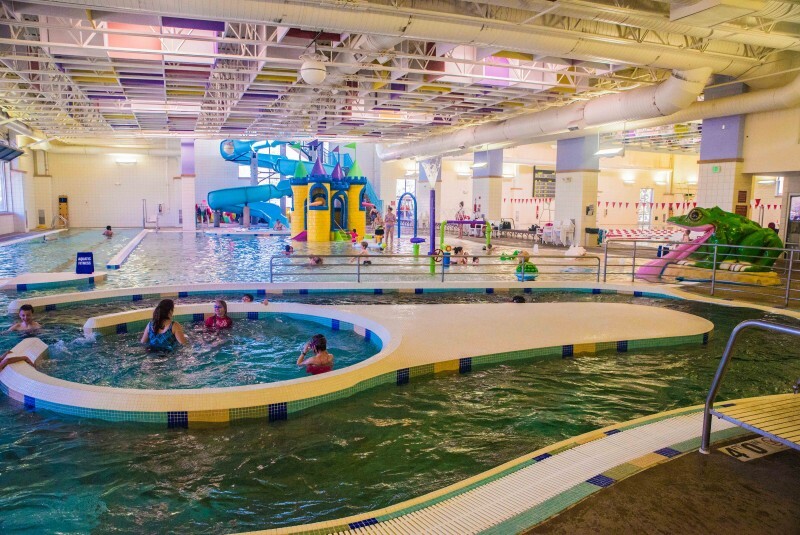 It houses a full aquatics center with splash pad, game room, two-court gymnasium, rock climbing wall, racquetball courts, fitness area, aerobics studio and indoor track. 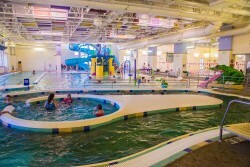 The aquatics center is home to our two pools, one lap and one leisure, as well as a hot tub and outdoor splash pad. The lap pool offers public swimming lanes as well as a one meter and three meter diving board. With 89 degree water, the zero depth leisure pool features two lap lanes, current channel, vortex, 160 foot waterslide, and a shallow area with a variety of play features for children. The outdoor splash pad is open seasonally. 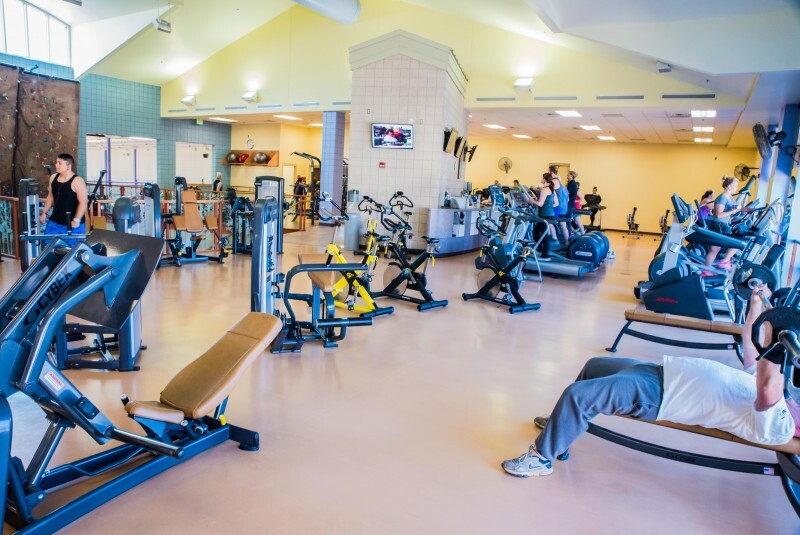 The fitness area features high quality Cybex free-weights, Cybex selectorized weight machines, treadmills, elliptical machines, rowers, a step mill and other cardiovascular and functional fitness equipment. 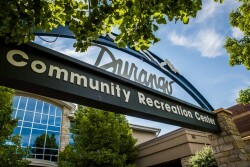 The Durango Community Recreation Center offers 60-70 fitness classes each week, including yoga, cycling, Pilates, Zumba and strength classes. 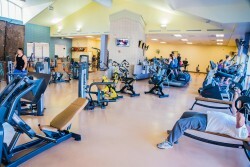 The center also offers drop-in pickleball, volleyball, basketball and soccer, seasonally. Please refer to our online schedules or call the guest services staff to inquire about the scheduled times. 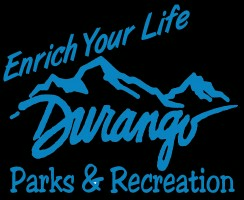 The Durango Parks and Recreation Department's administrative offices are located on-site. Monday-Thursday open 5:30 a.m. - 9:00 p.m.
Friday open 5:30 a.m. - 8:00 p.m.
Saturday open 8:00 a.m. - 8:00 p.m.
Sunday open 9:00 a.m. - 6:00 p.m. The Aquatics Center closes 30 minutes prior to the rest of the facility. Monday-Friday open 8:00 a.m. - 5:00 p.m.